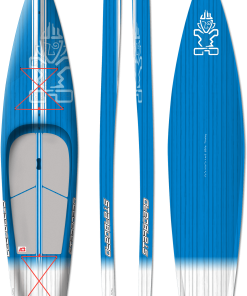 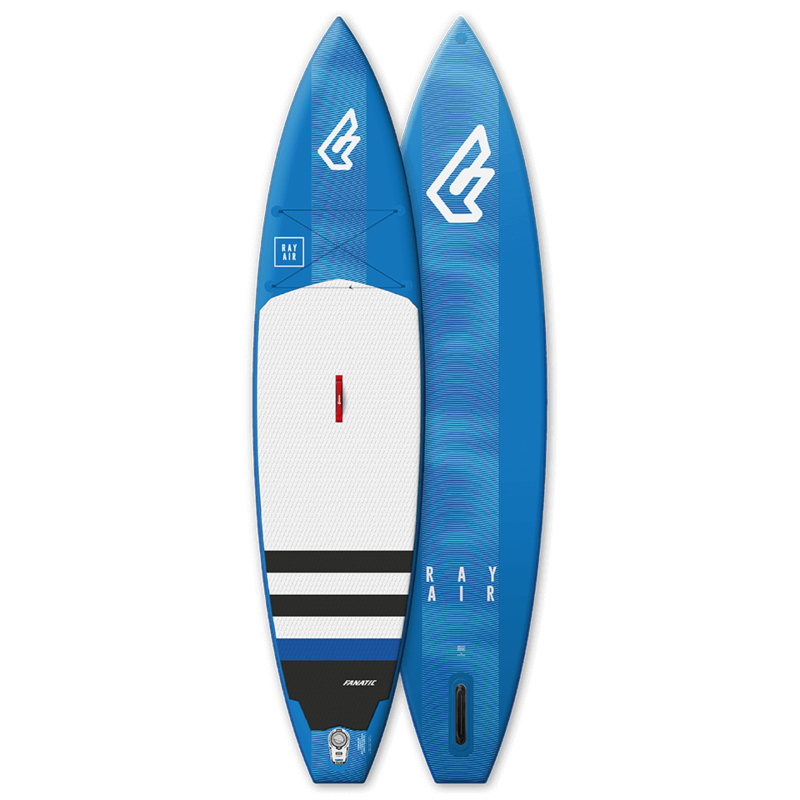 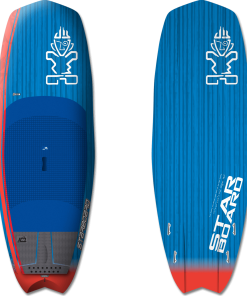 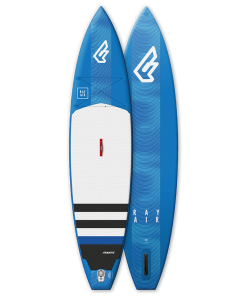 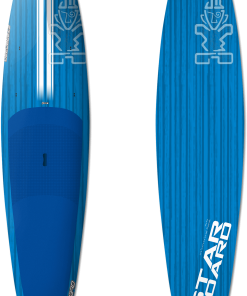 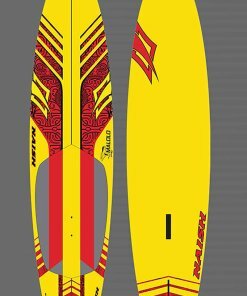 With similar characteristics to its solid equivalent and a stylish new look for 2019, the Ray Air has a maximized waterline that combines both stability and glide. 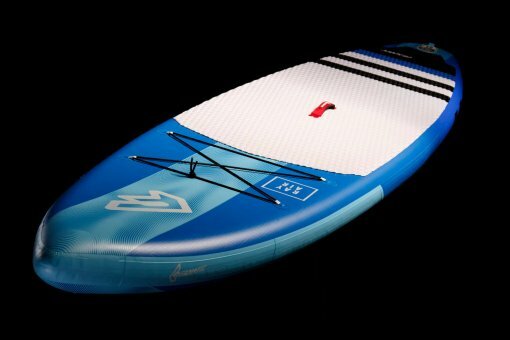 The two sizes of 11’6” and 12’6” are fast, very easy to paddle and to keep your balance on, even if you’re a first timer. 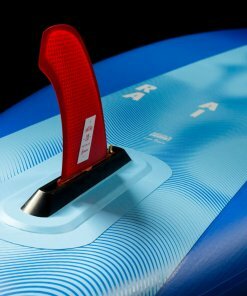 The optimized thickness of the Ray Air offers great rigidity, while the extra volume keeps you and your luggage up and dry. 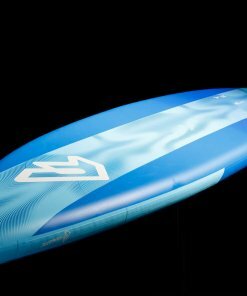 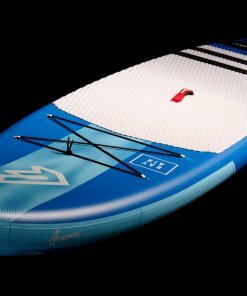 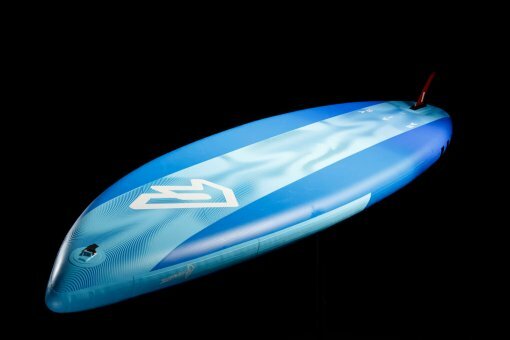 We’re offering the Ray Air in two high quality constructions; our light weight and durable Stringer technology, as well as our Premium construction – the state of the art of inflatable SUP Double Layer technology – which is significantly stiffer in comparison to the single layer iSUP; you won’t find anything better. 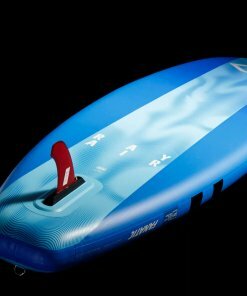 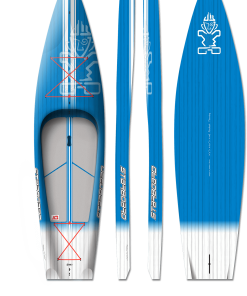 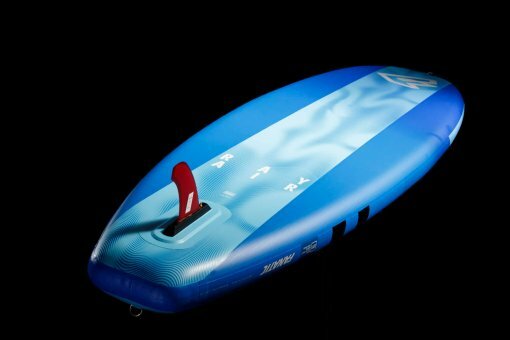 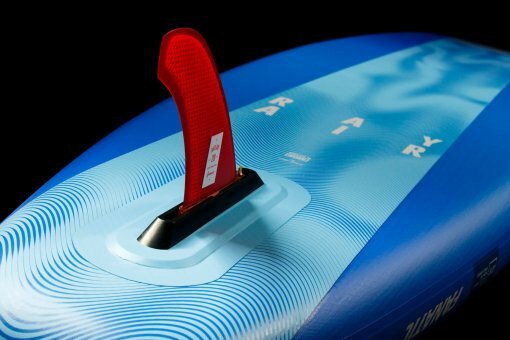 A mastfoot insert for optional windsurfing rounds off the Ray Air Premium package. 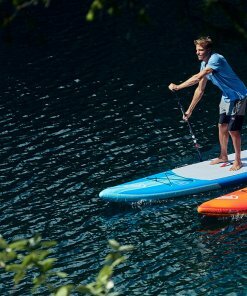 Stored in our organized and easy to transport Backpack and including our Fanatic Power Pump HP2, you’ll be quickly off and on your way.